I am at a loss for words as to what is going on in the world today. Really am. I accept that atrocities happen on a daily basis across the world at the moment, but nothing really hits home until it happens in your own country. Everything that happens is unacceptable and must, somehow, be stopped. I don’t know or even pretend to understand the reasons behind why these people are doing what they are doing to people around the world. I’ve read what they have said but still can’t fully understand why. That may just be me, I am somewhat detached from the world of religion as I follow none, but when the battle turns to ordinary, everyday people; it must be stopped. We’ve had Manchester, we’ve had two attacks on London bridges and now we have Finsbury Park. Why? Can anyone tell me the answer? What are a group of individuals coming out from their prayers at midnight on a Sunday – what exactly were they going to do, what was their threat? I just don’t understand. All I know is, like so many others, I am deeply saddened by it all. So many families and friends have lost loved ones due to these mindless attacks. I am hugely proud to be English and I think the reaction and support given by an entire nation is astounding. We will not ever be divided and we will stand by any country in solidarity and support against these cowards. Ok, while I’ve been away a lot has happened in the world. I’ll probably get.on to that later on at some point but right now I want to address the sphere of football. Do you remember my obsession from way back when? No?? Really?? Shocking… does this help?? Yep. That’s my team. And do you know what happened a couple of weeks ago?! That’s right, we were crowned EFL League 2 Champions!!! Yeah baby!! You may not be a football fan but you can at least be happy for me and the city of Portsmouth! It caps a four year battle to get out of the bottom league of the EFL. It’s lucky I don’t have hair otherwise I would have been tearing it out!! Anyway, this may be a sign of the future… I may end up writing more about football, but hopefully I won’t bore you too much! I hope you can join me in the celebrations that I’ll be having over the summer in pompey’s honour! 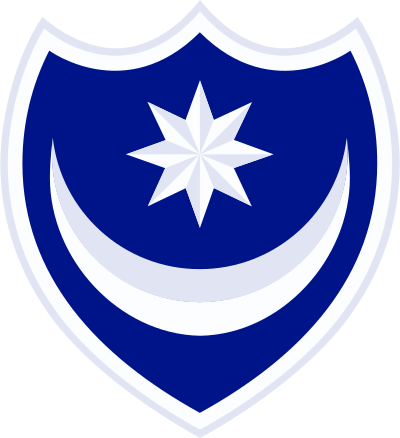 Play Up Pompey, Pompey Play Up!! It’s only just happened and I am shocked. The very popular front man of Soundgarden and Audioslave, to name a few, has died at the age of 52. I don’t know what or how, or even why, but it was sudden. I love his music and am now playing Audioslave in honour of the great man. ‘Like a Stone’ is one of my favourites but he was so talented. Even writing the theme tune to James Bond’s ‘Casino Royale’. Now, you may remember me, a while ago I agree, having a bit of a whinge about my job? Well, not much has changed…. I can’t remember where I was working the last time we spoke (listen to me, talking like you’re actually here…) but in my current department it’s the same. I work in an office and the pettiness here is…… mindblowing! It’s like being back at school – squabbles here, gossiping there, fist fights…… ok, not quite. But only because I’ve been extremely restraint. Now – is it just my workplace this happens in? Do you have childish colleagues that you wish to punch?? Surely it’s not normal is it?? My boss. What can I say that’s polite…. did you ever get ‘blanked’ when at school, when you’ve pee’d off a friend and they have the hump? That’s what he does to me. Walks straight past me and doesn’t say a word. Ignores me in meetings. I can’t even think what I’ve done to provoke such a response. Does that constitute bullying in the workplace?? Hellllooooo, is it me you’re looking for?? Hello, my darling people! How are you all doing? Good, I hope. Right, let’s get it out of the way….. I’m sorry. Really, really sorry. I shouldn’t have left and not said a word, or even written. I can only apologise. Can you forgive me?? I take your silence as a yes! Well, now I am back, what do you want to know? A lot has changed. In my life and also in the world as a whole. Donald Trump – who saw that coming?? Big thing with me is that I am in a new relationship. My two kids are fine and happy, but their mother was a pain….. we’ve moved on. I am now the happiest I have been in many many years. She has changed me a lot. Importantly, I can now drive! And it was all thanks to my new beau, and it is made known who was responsible at least on a weekly basis…. So, why am I back? Why not? I was lucky enough for some people to read what I had to say and stayed around while I was taken away by the … erm … fairies?? Either way, I still have a lot to say and feel this is the ideal place to do it. The sense of the blog won’t change as it is still just me rambling most of the time, and as ever I welcome anyone to chat to me like they used. I’ve missed this place! Thank you for sticking with me. I’ll try and hang around this time! Oh crap, I’m working again. Well, I do get Saturday off, but Sunday and Monday will be spent staring at a computer screen, looking at databases and numbers. Just think of the money….. I have to keep reminding myself! I’m fortunate to have my overtime approved in these austere times, mainly because I’m too damn busy during the week! You know the worrying fact though… the work we are doing is actually making me kind of proud. Please, for the love of God, don’t tell them that! Anyway, that’s work. Now at home, a couple of interesting things, both incorporating plastic food. The positive; my boy has started trying to play football with anything that resembles a ball. This led me to laugh at him. Quite a lot. Sounds harsh I know, but you keep a straight face when a fifteen month old starts dribbling around the front room with a plastic lettuce….. Come on, you’d laugh wouldn’t you?! On the flip side, an image that I didn’t think I’d ever see. The same boy sitting there, quite content, watching Curious George or something, happiliy sucking on a bright orange plastic carrot. A parent shouldn’t have to see that. Sit behind a chair, or hide behind the curtains or something, please…. However, this weekend is a big one for the daughter. She is being taken away by her aunty and uncle and cousin, and will be spending a week away from us, down in Dorset. This is the first time that she has spent a long time away from us, the first time she’s been to Dorset (although I’m sure it’s lovely) and a first time sleeping in a tent. I personally think they’re going to have their work cut out, but I can guarantee that the daughter will love it. But I say this now, when she comes back all happy and excited about her adventure, I’m still not going camping. I’ve lasted 32 years without doing it, I’m not starting now! On a lighter note, the football finishes this weekend. The final game of the season. It’s been a tough season for Portsmouth. Three bosses in six months, languishing near the foot of the table and football leagues itself, it’s been a scary time to be a Pompey Supporter! But along comes Andy Awford, now permanent manager and winner of Manager of the Month for April, produces 4 wins and a draw and suddenly we’re mid table! Win on Saturday and we finish in tenth, some achievement. Next year we’ll be back at the top of the league, I’m sure! Anyway, enough from me at this point. I hope you all have a wonderful weekend and I should be back soon. I promise! I thought it looked a bit quiet at work today….. Why didn’t somebody tell me it was a Bank Holiday?! It has been a very long time since I’ve been this busy at work, and actually cared at the same time! Yeah, we all know the background, not got a job – still waiting – etc, etc. Yes, it’s all still true but I’m not really caring at the moment, I’ve found something I thought I had lost forever…..
Yeah, I said it! When was the last time you heard that phrase?? 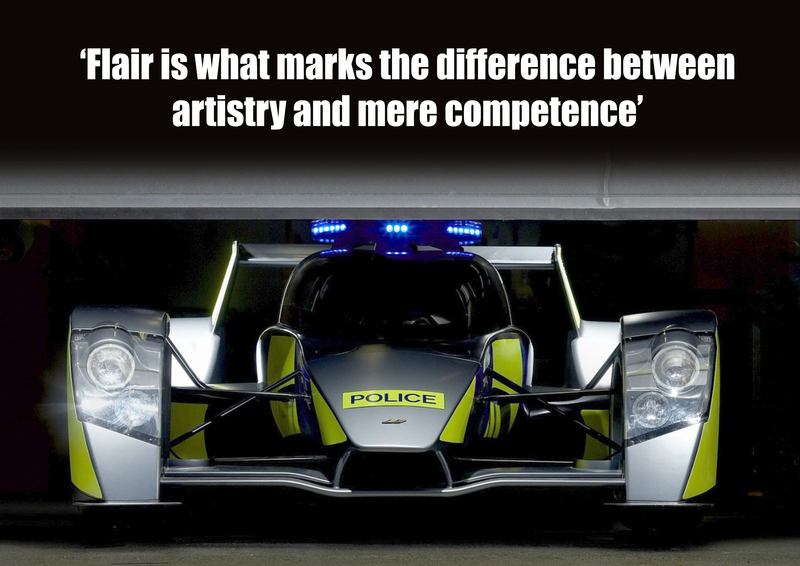 I don’t get paid anywhere near as much as I should for doing this job, I don’t get any perks like a company car or company phone, yes I work long hours during the week and weekends too but I don’t care…. I’m enjoying it. It’s a new challenge, a new topic, a new outlook. Anyway, I’m working today and tomorrow but then taking a few days off. Hey, I have to have a break some time! Have a good Easter people. Eat lots and lots of chocolate until you feel very sick! What a few hectic and busy few days that have been had! As a present for the wife’s birthday, I purchased tickets for O2 to see her favourite band. This later developed into a couple of nights stay in the city of London for us, with no kids. Heaven! Anyway, we headed up on the Thursday having booked into a hotel in Canning Town, at what is our view from the room window? Yes, the docks. But behind that was the O2 itself and Canary Wharf off to the right. Perfect placement. Friday, we headed out to Canary Wharf, a part of London we have yet to visit. Instead of using the underground, we decided to try out the Emirates Airline. What’s that, I hear you ask?! Well, I’ll let you off ‘coz I didn’t know they existed ’til a couple of days ago. There is now a new way to get from Canning Town to Greenwich; cable cars! 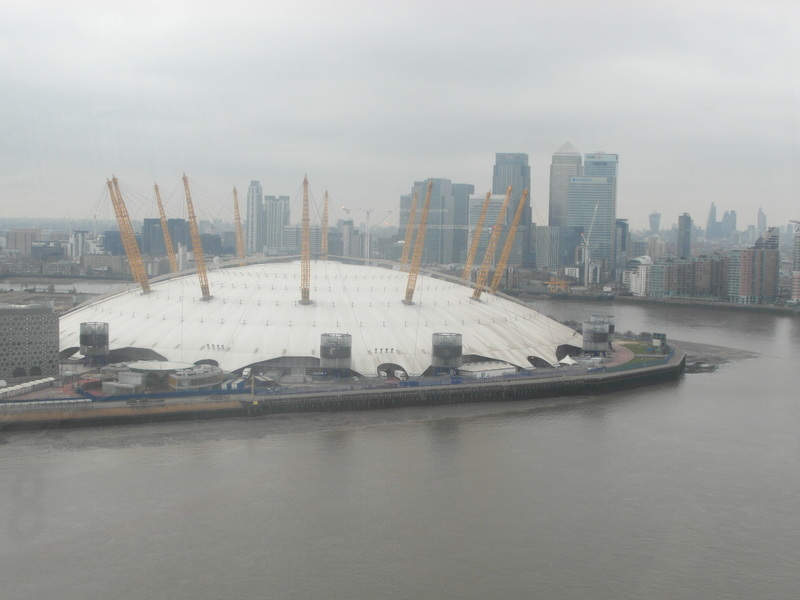 Yep, there is a set of cable cars that goes straight across the river to the front door of the O2. How convenient! And also, pretty much the same price as normal public transport, even better! All this leads up to the main attraction that evening. We may be situated in the Gods of the O2, but it wasn’t as bad as I thought it might have been. A perfect view for us to see the whole attraction. Granted, I should have taken my camera and not relied on my phone, but still it was a great night. I should have difficulty in admitting that, but to be honest, I don’t. I’m comfortable in my music tastes. Whilst eclectic, I know my roots are heavy metal and rock, but I don’t mind a BSB boogie every now and again! 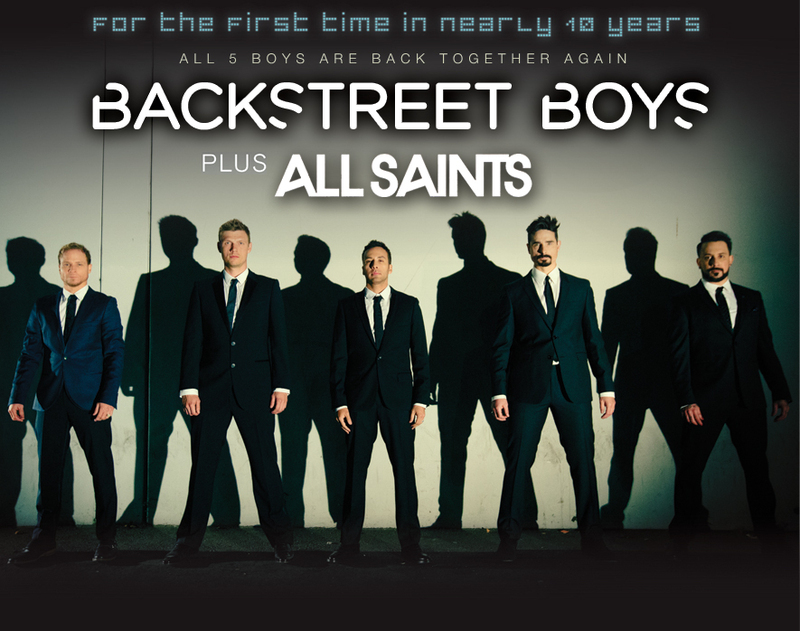 And come on, who wants to miss the first gig in London for fifteen years of All Saints! Who, by christ, are exactly the same. They sound no different and pretty much look the same too. A few words were forgotten but that can be excused. 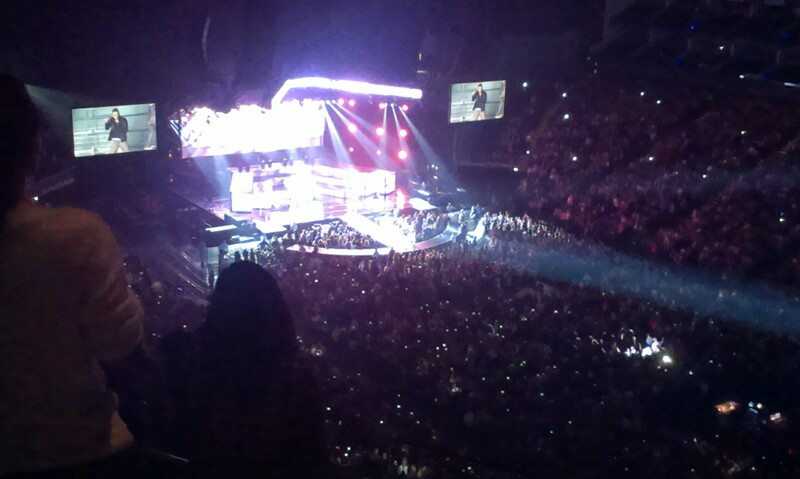 BSB themselves once again put on a good show. Filled with some classics as well as material from the new album, plenty of stage covering dances and also an acapella set just to show their maturity. All in all, I thoroughly enjoyed it. It’s the second time I’ve seen them, and both shows were good entertainment and a bloody good sing song! Despite me being ill throughout the whole duration, it was still a good show and good time. Right, well it all went wrong, didn’t it?! I promised to do this properly and post regularly. Have I? No. I started a photo challenge. Did I carry it on? No. Yeah, I know, pretty rubbish. I do have some excuses lined up though, if you want to hear them? You do? Great…. there’s hope you still like me…. There’s not really loads of excuses but one major one that’s kinda kept me busy. Cast your mind back, remember those posts where I explained my job situation? As in the fact I didn’t have one? Well, things have progressed…….. I still don’t have a job. Technically. Scandalous isn’t it?! It’s been about nine months now and they still haven’t sorted it out. However, as I said, there has been movement. I have been turfed out of my old department and am now claiming squatters rights. I am currently in a position that doesn’t exist, yet, carrying out a job I actually want. It’s similar to parts of my old job so I’m happy with that, but it’s a more specified subject, which I find interesting. I’m not going to tell you what it is though, keep my air of mystery! Basically, I am waiting for funding. This being the Civil Service it takes a decade for someone to make a decision and pay for anything. The money’s there, the idea has been approved, just noone will put their name to the decision. Typical. That really helps me…. The difference is, this is a job I actually want, and the people in this department actually want me too. There’s a novelty! There’s a real sense of team spirit and pride here, and I like it. Plus, I’ve already got my own office for the first time in about ten years, and it’s a comfortable atmosphere. I get to play my music when I want! Alright I’m gushing slightly, it just makes a change to have enjoyment at work. The only downside, my God, how busy?! 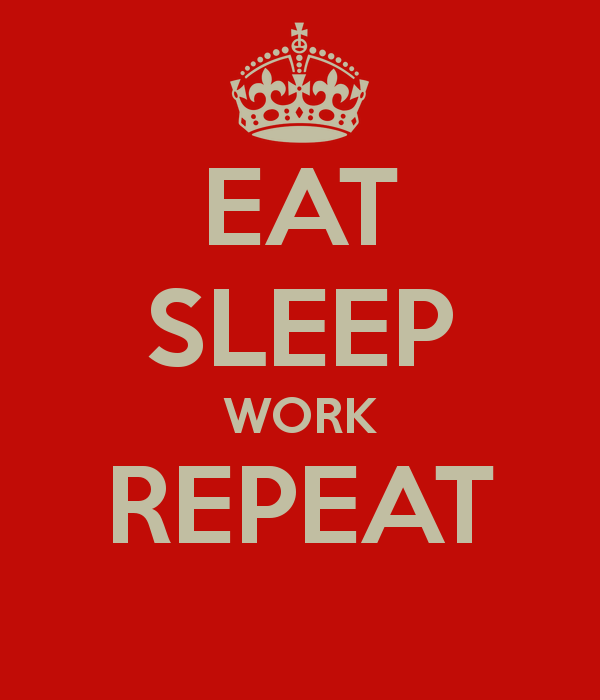 I’ve even started to work late and at weekends! That’s a shock to the system. Anyway, that’s the reason I’ve been away predominantly. There are other matters like the children….. who are just always a nightmare! I’ll update later about the kids, but I just wanted to say, I’m still here!! I will make more of an effort too, I promise.